Love-LOVE this! Husband is on a low glycemic diet and this lets me make one dinner we can all eat. I’m making it to give to family as a christmas dish. How long do you think this will keep in a fridge? Or if I made it and sealed it in jars, does it need to be refrigerated? Just curious. thanks! So exciting when someone loves your recipe. I don’t have specifics but its so sweet I kept mine in the fridge for months using it bit by bit (I’m single). Also, if you had it sealed I don’t see why you would need to keep it in the fridge but I’m not an expert in canning. It is so sweet it will stay unspoiled longer than other perishables. I’d love to see what you come up with for your Christmas packaging and wish I could taste your variation. How fun! I need to make a new batch. Been a while. I tried your BBQ sauce recipe and it’s a keeper. I can hardly believe I can have BBQ again! You said you had poor results making enchilada sauce. I have a great enchilada recipe you will love. In medium saucepan heat oil, add flour, smooth and stirring with a wooden spoon. Cook for 1 min. Add chili powder and cook for 30 seconds. Add broth, tomato paste, oregano, and cumin. Stir to combine. Bring to a boil, reduce heat to low and cook for 15 min. The sauce will thicken and smooth out. Adjust the seasonings. serve atop your favorite enchiladas. 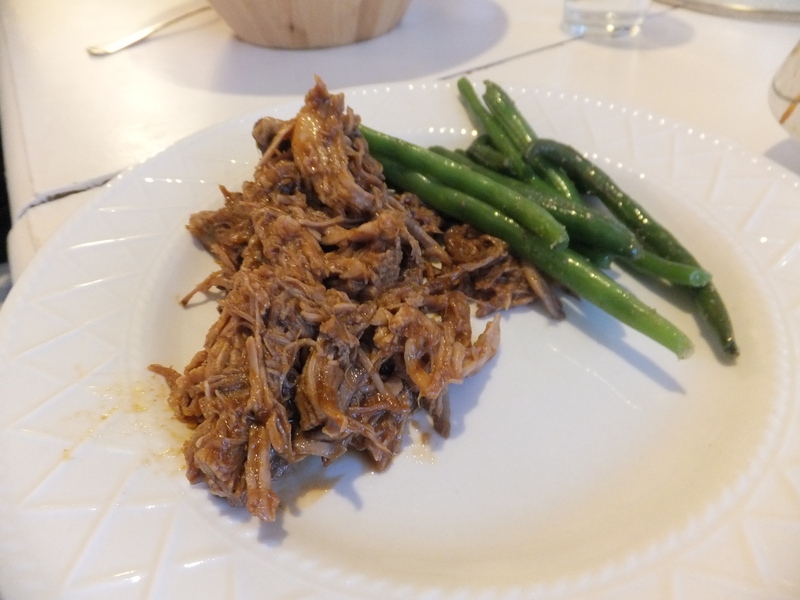 I am recently following a low glycemic diet/lifestyle using the book called Sugar Busters and was looking for a good low glycemic index bbq sauce. I am so happy that I came across your recipe. It is cooking in my kitchen right now as I type this and everyone is LOVING the smell of this bbq sauce! I am sharing with my friend who told me about Sugar Busters and I know that she will love it too! Thanks so much for sharing this recipe. This is a WINNER! Isn’t the internet amazing. A recipe I made over a year ago is bubbling and brewing in your kitchen wherever you might be. So cool. Let me know what you think and if there are any good tweaks! Yes the internet is amazing! And so is this bbq sauce! Now I need to find a low glycemic ketchup recipe! Awesome. Let me know if you find that ketchup recipe. I am wondering what a “large can of tomato sauce” means? 28 ounces? I have this bubbling away right now and it tastes very vinegary to me. I followed it all (with 28 ounces). Is it meant to be really tangy? I do like things on the vinegar-side. You can always add more tomato to temper the vinegar. Its been a while since I made it so I can’t remember if it was 32 can or 28 can of tomatoes. Good luck! Im doing the 21 day fix and want to know what containers I would use for this sauce, would It just be the green container? Or the dressing container? Made this sauce tonight for chicken legs and wings. We didn’t have any liquid smoke, but it was so good even without it! 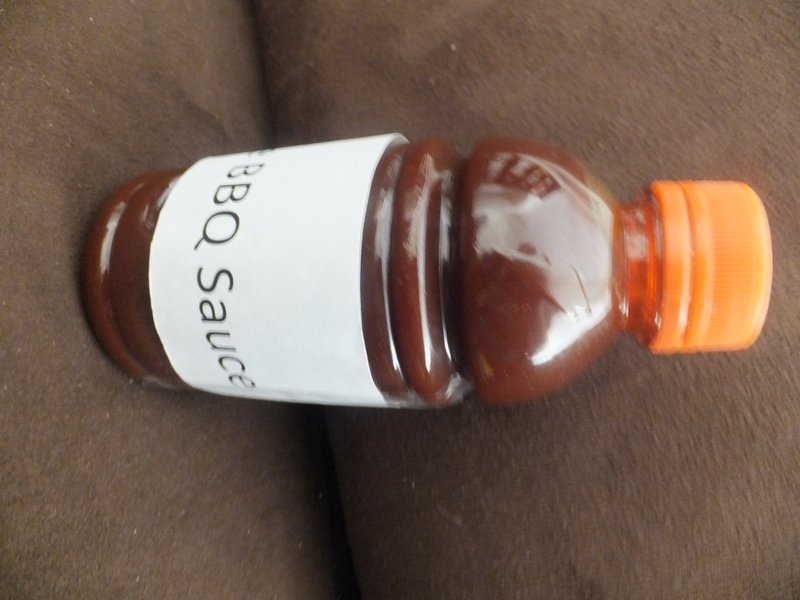 My husband is really picky when it comes to his BBQ sauces, but since we are doing Sugar Busters, I had to try something that fit. He LOVED this sauce! Thanks for a really tasty recipe! This is incredible. I skipped the liquid smoke because I didn’t have any and I used creole mustard (same reason) and it’s fantastic. Thank you for sharing! Delicious! Hurray! I’m so glad. I need to make it again because it’s been a while for me. Sounds like delicious changes! I haven’t made this sauce just yet, but I am super excited about it. I’m doing the 21 Day Fix diet with my fiancé so most sauces, including BBQ, are out the window. That said, your sauce looks to fit the bill! I also wanted to let you know because you asked above, Kroger grocery stores have a Kroger brand worcestershire sauce that doesn’t have any added sugar or corn syrup and is calorie free! Hopefully you have a Kroger near you! Lea & peering is an all natural Worcestershire sauce. It does have a small amount of sugar but no hfc. Cooking this up now! Was wondering what in the store Liquid Smoke would be located with? I’ve never heard of it! I’m just curious as to how long after the sauce is made that it will stay good in the refrigerator? I’m so glad! I’m not sure on the 21 day thing as I’m not familiar with that program. Your meatballs sound delicious!